Short term things are looking pretty good. This storm should dump about 6-12 inches of fresh snow on Slide Mountain. My friends over at Unofficial Mt. Rose have reported that the snow guns are working over time and with the cold weather, they should be very productive. Things are getting close at Mt. Rose. 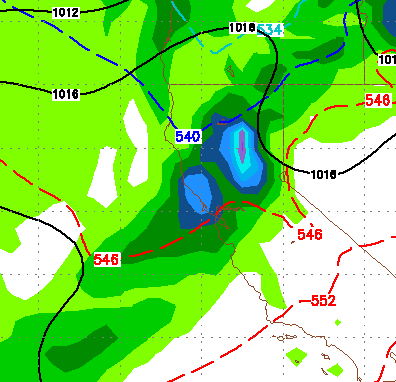 We have another weaker storm coming in for next Thursday and Friday. This storm is actually going to travel down the coast, go right past us and then make an abrupt 180 degree turn, come back north and head toward our area. Or so the models are forecasting. We should get something out of that storm. Long term, things look really good ... read on. Ok, I have to admit that I made this one up but I kind of like it, so I will stick with it. First let me define the squeeze play. 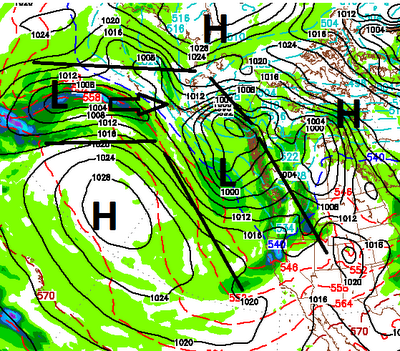 High Pressure over Hudson Bay blocks storms and sends them down the west coast. Meanwhile High pressure moves west into the Pacific ocean. 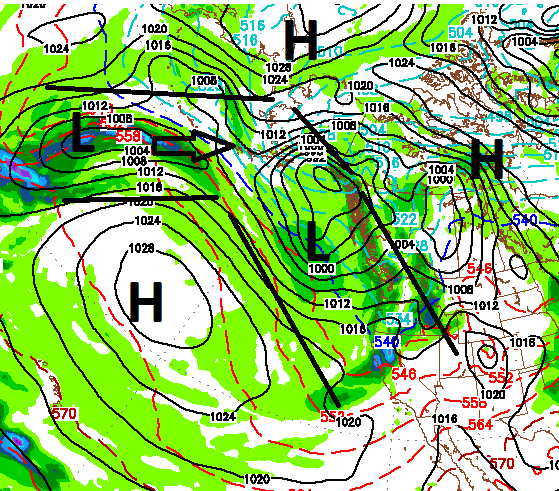 This creates an alley for storms to move down the west coast, squeezing between the two blocking air masses. I call that the squeeze play and when the conditions take over, we get snow and lots of it. Get your hopes up for sure. Keep your snow dance going, but remember if our squeeze alley breaks down things can change in a hurry. Thanks Paul. We hope it all goes your way. We have been linking to your posts quite a bit this season over UnofficialAlpine.com for the last few weeks.